IDPs are a novel class of proteins that are involved in several disorders such as Parkinson’s, Alzheimer’s and cardio-vascular diseases. IDPs do not possess a well-defined secondary structure and undergo dynamical transitions that allow them to act as biological signaling hubs within a functioning cell. Understanding the basis of how these dynamical transitions and interactions are mediated within the cell remains a long-standing challenge in molecular biophysics. 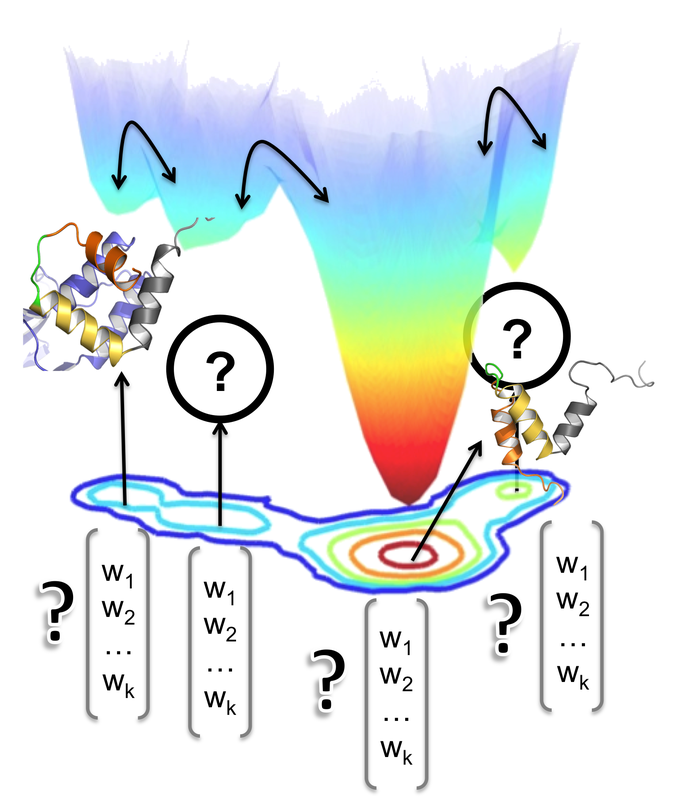 In our recent work, we have used extremely long molecular simulations (beyond microsecond time-scales) to examine how the intrinsically disordered nuclear co-activator binding domain (NCBD) behaves in absence of specific binding partners. Our simulations, in combination with novel machine learning approaches have revealed several interesting features in NCBD that allows it to adopt a ‘bound-like’ conformation even in the absence of its binding partners [1,2]. We are now using small angle neutron scattering (SANS) experiments performed at spallation neutron source (SNS) to integrate the information from simulations and machine learning approaches to reveal the dynamical behavior of NCBD. The target for this project would be to develop novel statistical tools to integrate information from SANS experiments with atomistic simulations. We are working with Drs. Christopher B. Stanley (ORNL) and Chakra S. Chennubhotla (University of Pittsburgh) in this project.